Germano Gambini is one of those eyewear brands that is pretty much unknown here in Estonia – save for some bigger eyewear enthusiasts or those who already have bought their classy glasses from VIUU. 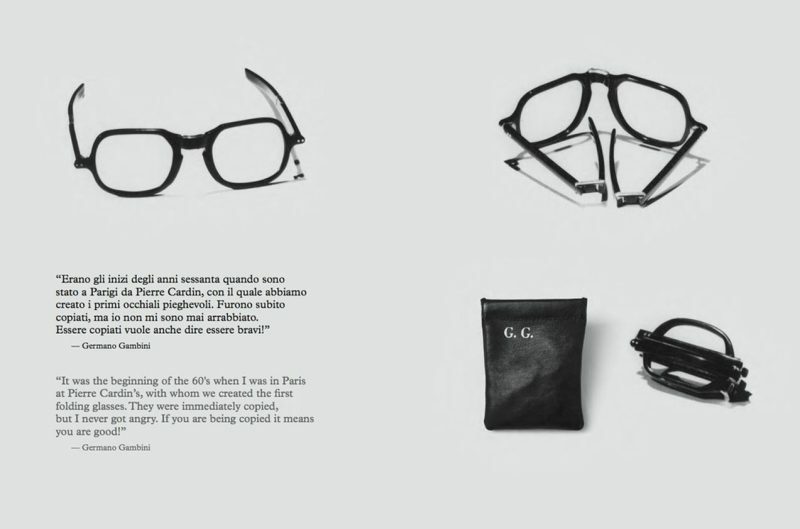 This is remarkable since GG is one of the oldest eyewear companies in Europe, which in the 1970s and later collaborated with Pierre Cardin, Gianfranco Ferré, Nicola Trussardi and Enrico Coveri. Germanos predecessor, his uncle Gilberto Gambini founded his optics shop in Bologna in 1912. During the First World War the business mainly made gas masks, but returned to making and selling eyewear after the war had ended. In 1920s Germano’s father Arcibaldo took over the family business and in 1931 Germano himself was born. Germano, who was strong and tall, made a career in basketball in the 1950s. He became a champion and in 1955 he played in the European Championships. After that Germano was a member of the national basketball team until 1959. During these years Germano also aqcuired his diploma in optics and specialized in opticianary. In 1957 Germano got married to Ornella. In 1960s Germano began to take care of optics in the family business. He imported the first contact lenses in the country. By that time, the Gambini already had 4 stores in Bologna and all of these specialized in applying the sensational contact lenses. The 1970s are a golden time for Germano Gambini’s business. As pret-a-porter and fashion glasses were born in the rest of the world, so did Germano sense the importance of eyewear as fashion accessory. He starts importing the first designer eyewear, made by Pierre Cardin, and later they also collaborated by designing the first foldable glasses in the world. These have later been copied by several other designers. During these years Germano also collaborates with Ferré, Trussardi and Coveri. Germano both designs eyewear for them and distributes their glasses in Italy. 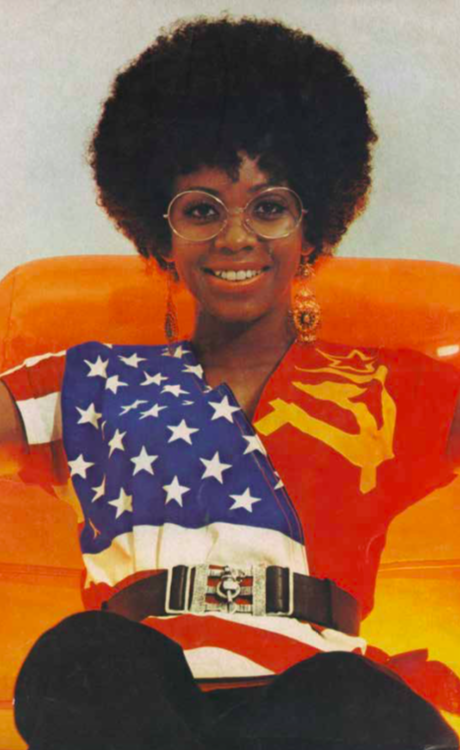 The collaboration with Enrico Coveri was a favourite of Germano’s: the communicated well and created the colourful sunglass collection with flags of different countries on the side handles. 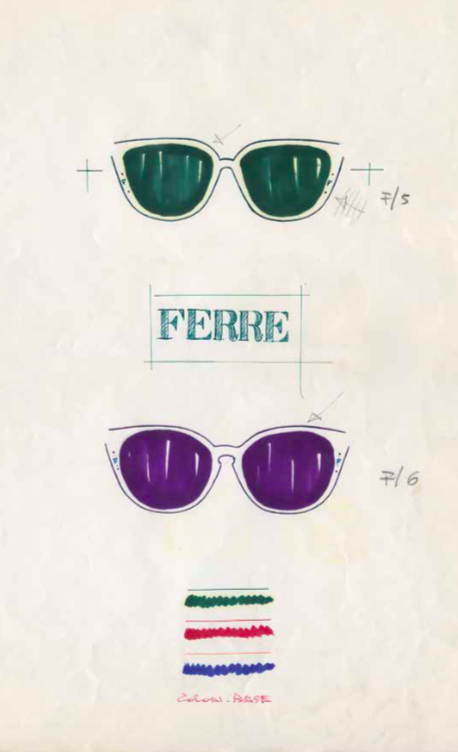 In the 70s Germano also decides to design glasses under his own name. The first collection was i leggeri (lightweight), a super light and flexible frame that only weighed 8 grams without lenses. Germano distinguishes the glasses with the GG signature. In collaboration with the Mazzucchelli acetate factory, Gambini created a new and shocking hue of tortoiseshell: red! Soon after, it was called the Gambini tortoiseshell throughout Italy. Considering the country’s taste for eyewear was rather conservative among the Old World, the step to start making glasses in red was very bold and definitely a risk that paid off. In the end of 1970s Germano created a special collection targeted for women: the Divina. The collection was super feminine and the glasses were made from transparent acetate, decorated with colorful laqcuer and Swarovski crystals. This is also the period when the fun Mascherine was created: a “mask” for sunbathing, sunglasses that were made from only 1 piece of coloured plastic. In 1980s, the collection Variety was created for younger people. This collection combined trendy shapes, metal and acetate. Till 2011 when Germano passed away, he was the leader and designer of the GG eyewear company. After his sudden death, the position was taken over by his daughter Paola. Today, Germano Gambini Eyewear still follows the same principles as when Germano himself was still alive. All of their eyewear is made in Italy from the highest quality materials. Here at VIUU we have a wide selection of Gambini’s eyewear from collections i leggeri and Cristalli. i leggeri is now using 100% biodegradable plastic, which makes these frames a very sustainable choice. The Cristalli collection is kind of like a successor to the Divina collection: the eyewear is feminine shape- and colour-wise and Swarovski crystals are the cherry on top. Gambini has called this one of the most beautiful collections he has created. Check out VIUU’s selection of GG eyewear HERE or visit us at Telliskivi 60, ON building!